sabbatical: a period of time during which someone does not work at his or her regular job and is able to rest, travel, do research, etc. ‘Word on the street’ of my retirement from guiding is premature, sparked no doubt by misinformation from a few mischief makers. They’d be better off going fishing, because that is what we’re doing this coming summer! 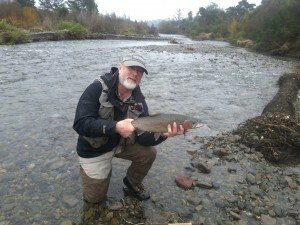 When Sharon decided to take a ‘gap’ year from full time teaching, it was an opportune time after 35 years of guiding for us both to recharge ‘the batteries’, refresh our own angling skills and enjoy the beauty and wonderful fishing opportunities that New Zealand provides us … a time to smell the roses. In August I had a brilliant trip with friends from the Nelson Trout Fishing Club to the Tongariro River flowing into Lake Taupo. 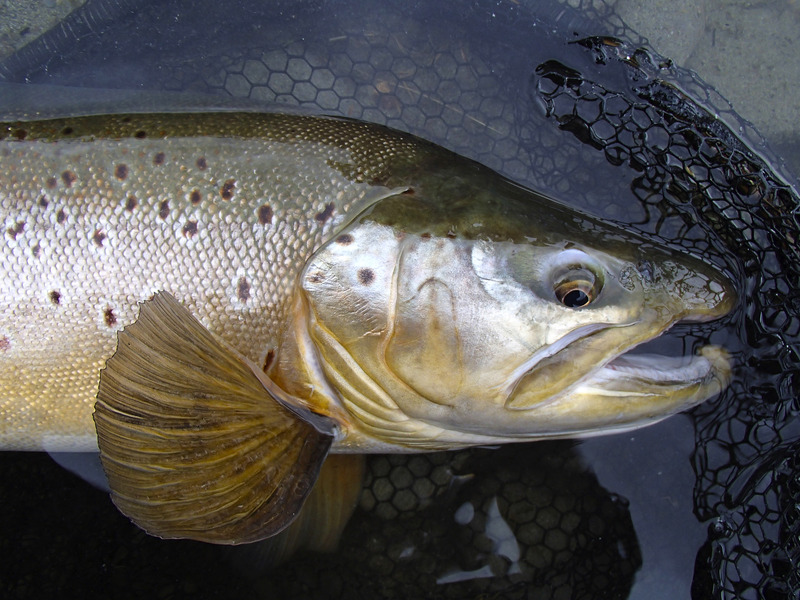 For years I had made the annual pilgrimage to fish for winter run rainbows, but had missed a few seasons as the fishery fell on hard times and the size and quality of the fish plummeted. The word was out that the fishery had bounced back this winter … and so it proved to be as between five of us we landed over 300 fish for the week. 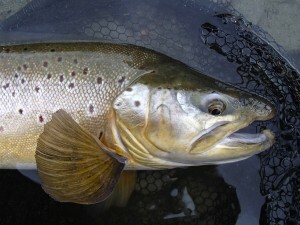 (For a summary of that trip check out this link to the Nelson Trout Fishing Club’s September Newsletter. 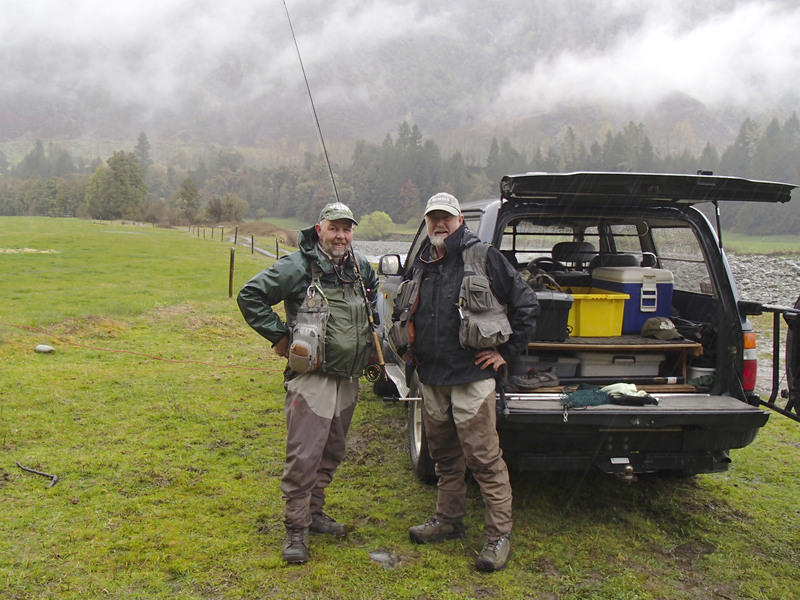 Bad weather on our local rivers welcomed us on Opening Day, October 1st. 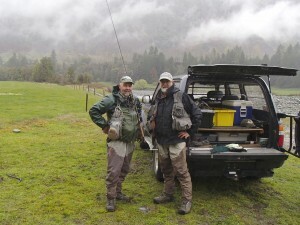 I was headed south to join some friends in the upper Grey area, but stopped off for a fish with old mate Pete Carty in Murchison. 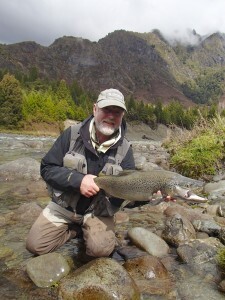 As the rain eased for a bit we found a good number of fish on the feed not far from Pete’s base and enjoyed a lively three hours of fishing together … something we have done far too little of over the years due to solid guiding commitments. Between the ‘bull and banter’ we both managed to bring a few modest but fit and feisty fish to the net. As the weather threatened to close in again, I wanted to fish one last run where clients had taken a couple of nice 8 pounders over the years. Third cast fishing blind saw the indicator stop and my strike came up solid against the bottom … that is until the bottom moved! After a short but solid struggle PC slipped the net under a battle scarred 10.5 pounder (nice to have your own personal ‘guide’ on call at times like this). 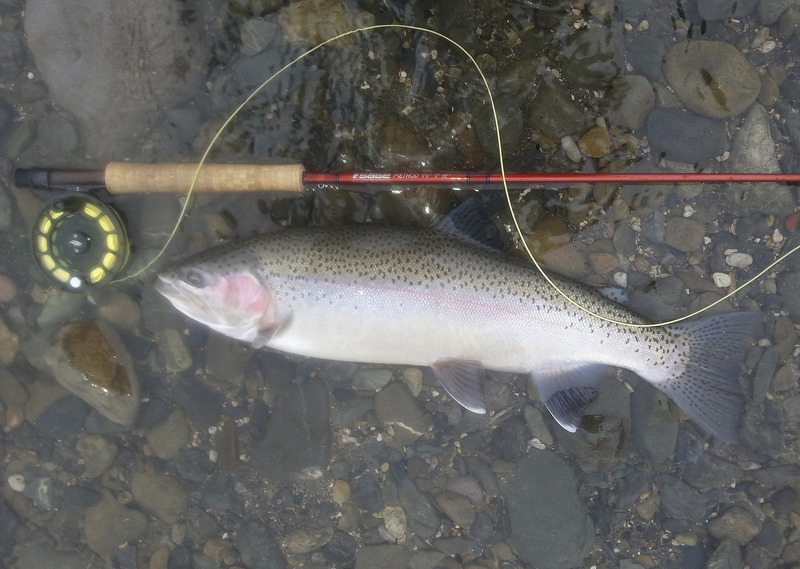 It was a personal best for me on any opening day and a great way to finish … a DD on the last cast of the day. A small scotch was totally in order. The next few days also provided some good sport as I joined Christchurch friends Niall Coster and Brian Thompson, in the upper Grey River where there were a good number of fish showing (and eating) despite the river running high and coloured. A wonderful few days fishing with mates … and a hell of a good way to start a season’s sabbatical! So … sabbatical – also defined as: any extended period of leave from one’s customary work. Yep … that’s us … research … recreation … and a little film-making along the way. I’ll be back guiding next season … in the meantime wish us luck. We’ll keep you posted.